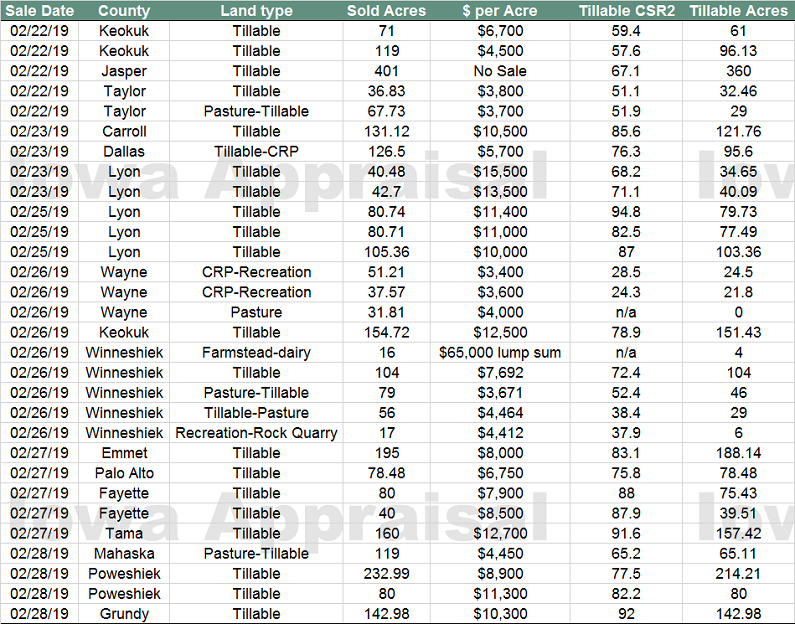 It was a very active week with 2,979 acres auctioned, of which 2,559 were tillable. Looking ahead for the next 30 days, it appears auction activity will be slowing down. The data below indicates quality land commands premium prices as there were 10 tracts that sold for $10,000/acre and higher. There also appears to be some softness for lower quality farms which is neighborhood specific. For the most part, the market continues to be stable. The amount of land offered at auction increased drastically this month as compared to the same time in 2018 and 2017.